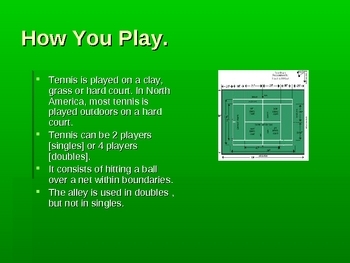 This is a ten fram overview of the game of tennis.It describes the game as to playing, scoring and rules. It gives some insight into the origin of the game and is very pictorial. It is good to use to introduce the game to students.